Spiritual cleansing is a type of healing. Well, it is not any medical treatment meant for physical, mental or emotional illnesses; it is an energetic healing involving cleansing the negative energy from a person. 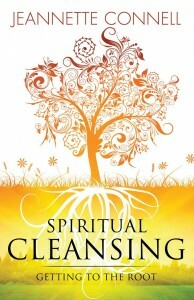 Spiritual cleansing is also used to release any negative energy present in a physical location. Spititual cleansing prayer gets rid of negative energy, dark spirits, energetic blockages and spiritual disturbances easily chosen from your daily life. 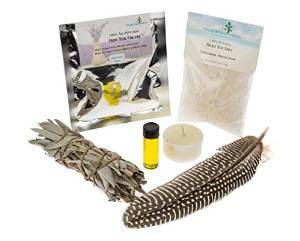 Spiritual cleansing is used for a number of reasons and can help balance the body, mind and Spirit. Spiritual cleansing bath can completely clear energy of negativity that normally causes mental, emotional and spiritual problems. If you feel negative, blocked or stuck repeating the same kind of negative patterns, you can get help through spiritual house cleansing. Spiritual cleansing of home can help you revitalize the mind and offer you a fresh beginning on a brand new path. It also helps clear negative influences and negative forces. Moreover, since ages, spiritual cleansing has been popular for clearing spell work, curses and witchcraft. Spiritual cleansing rituals have been employed since time immemorial and there are a number of different methods to pick from. You can choose to cleanse yourself spiritually; however, in severe conditions, it is ideal to consult with a spiritualist, spiritual healer or spiritual energy master. Spiritual cleansing can be used to get rid of negative Spirits and elements that lead to spiritual disturbances, negative thinking, depression, negative feelings, anger, hopelessness, resentment, hindrances, unhealthy relationships and an array of other personal issues. What kinds of issues can be dealt successfully with spiritual cleansing? Emotional trauma, sustained financial difficulty, persistent negative disturbances and recurring relationship issues can be fixed through spiritual cleansing. Anything that makes you worry, interferes with your normal work and hinders your life enjoyment can be solved through spiritual cleansing. Unhealthy feelings of heaviness, lethargy, hopelessness, sadness or despair are really strong negative energies. These can be cleared using spiritual detox. By spiritual cleansing, you can attain a positive energy field or aura around you. A spiritual advisor can see the aura – a faint, luminous halo around a person. Almost everyone can feel the vibe or aura of another person on an unconscious level. It is important to take some time to cleanse the energy within you; otherwise, your troubles will continue in spite of your physical efforts. As you start performing spiritual cleansing, everything will surely begin to go your way. When people choose on negative vibes unconsciously, they don’t seem to like to be around you; though they are willing to offer you help, it is pretty obvious that no one wants to be with ‘downers’ for a long time. So, this makes it challenging to get the right support you require regardless of whether the support is mental, emotional or something that has to do with your ambitions. Cleanse your energy in order to attract the right set of people into your life. By doing a proper spiritual cleansing, you are getting rid of the negative energies and paving way for the positive energy that makes your life worth living.